Brick Town Talk: CityModule2 - LEGO Town, Architecture, Building Tips, Inspiration Ideas, and more! 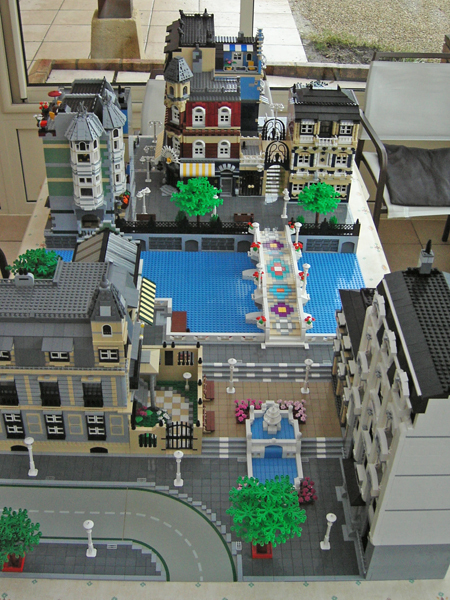 from re7v10t's BrickShelf gallery for his CityModule2. The usual amount of details are here, but there are also several buildings (and even roadplates) included in each module. Don't miss the two overhead maps showing the ways that these two modules can be combined. Awesome, simply just awesome. re7v10t is very talentet and the details are to many to mention. But especially the jewelstore is brilliant. Personally i preffered the linup in CityModule1 where the whole cityscape was full of minifigs, that were not rioting like the angry mob in citymodule2. Funny idea though. Great inspiration for me. Thank you!!! I really think it's awesome. I see them all the time and i want to make some for my town. Sorry, I meant to say, "Any idea WHEN..." Thanks!